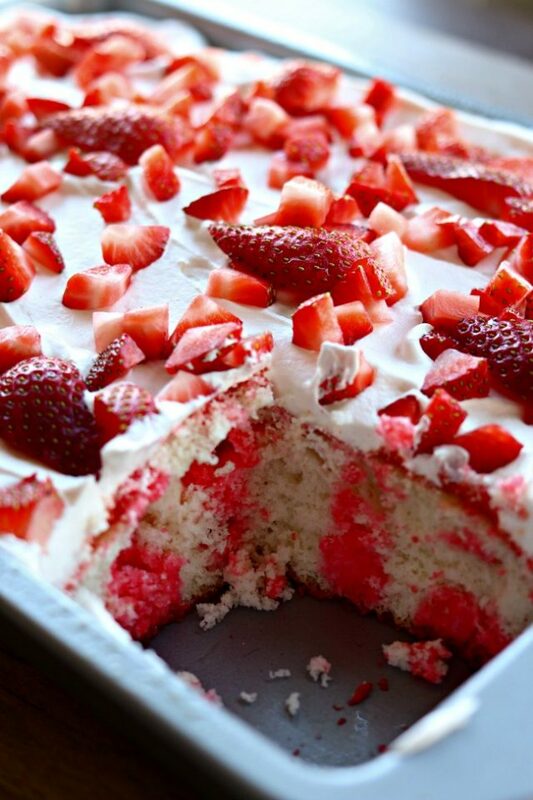 Poke cakes seem to have taken Pinterest by storm, so I decided to make a Strawberry Jello Poke Cake. It just sounded good! 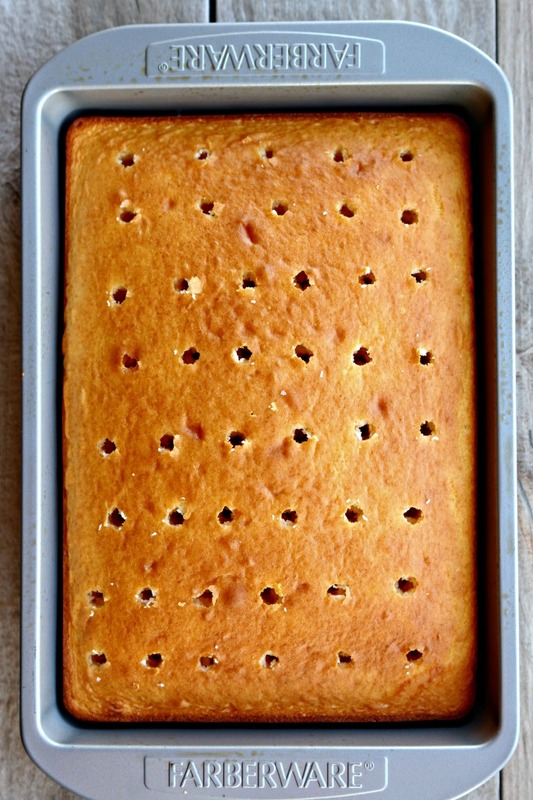 True to its name, this is a cake that you poke holes in after you bake it. You then fill the holes with some type of a filling like pudding, cream, or fruit. In this case, I used strawberry jello — and I’m convinced I’ve made one of the easiest, moistest, and most delicious poke cokes around. 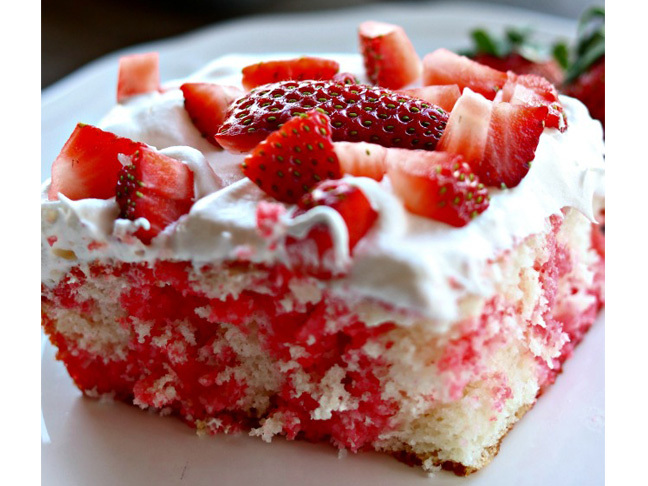 It reminds me of strawberry shortcake with punched up strawberry flavor. 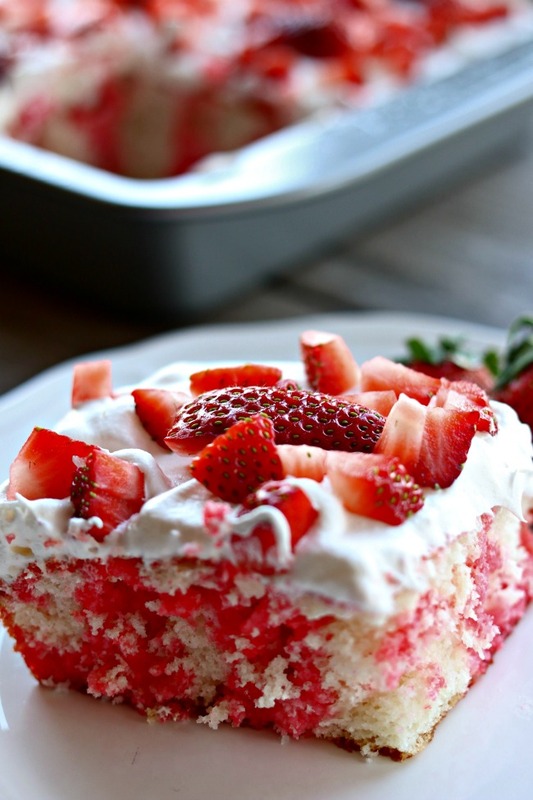 This easy dessert reminds me of strawberry shortcake with punched up strawberry flavor. fresh strawberries: 1 carton (16 oz. Step 1: Preheat your oven to80 degrees. Step 2: Prepare and bake the cake mix according to the package directions...except for one thing. I added in a half cup of Greek yoghurt to the batter. I feel like the yoghurt gives the cake a little something extra. Step 3: Bake for 28-32 minutes or until toothpick inserted the center comes out clean. Let the cake cool in the pan on a cooling rack for 20 minutes. Step 4: Take the handle of a wooden spoon and poke holes three quarters of the way down across the entire surface of the cake. 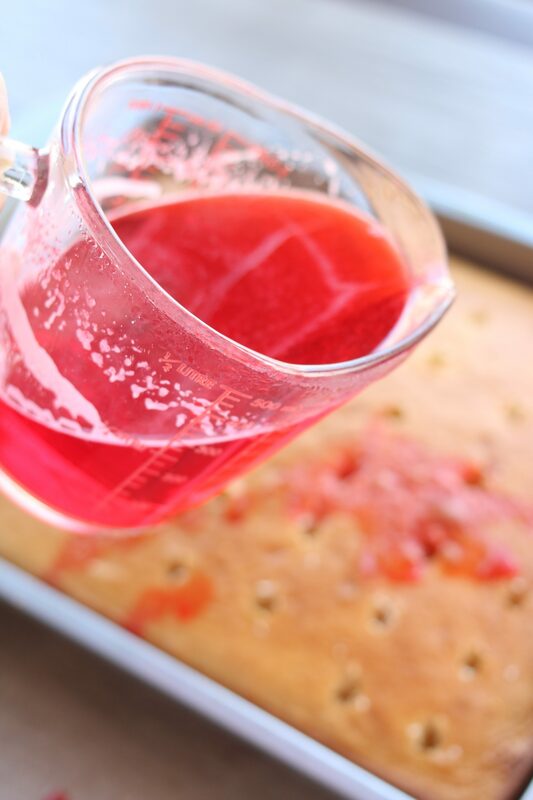 Step 5: Add a small package of strawberry jello to a cup of boiling water and stir until it's dissolved. 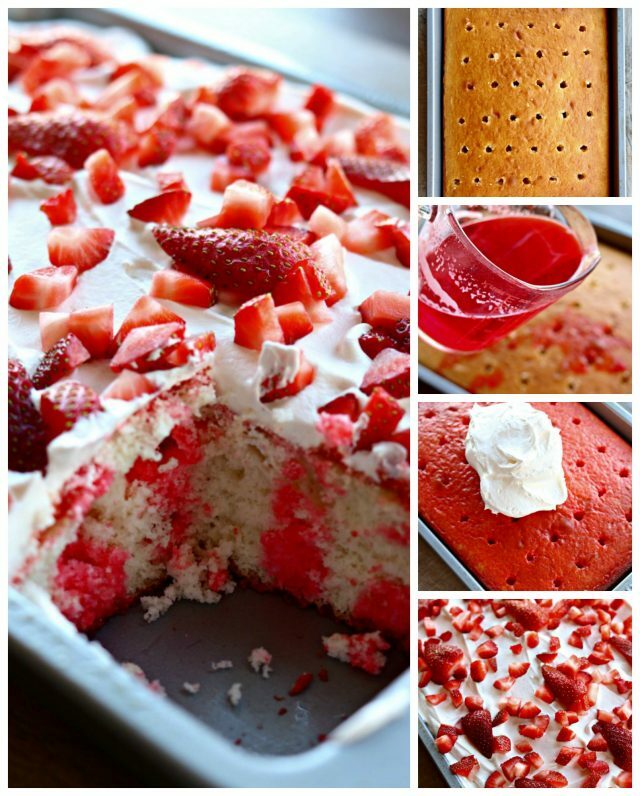 Pour the strawberry jello mixture over the cake and especially over the holes in the cake. Then let the cake cool for a bit. 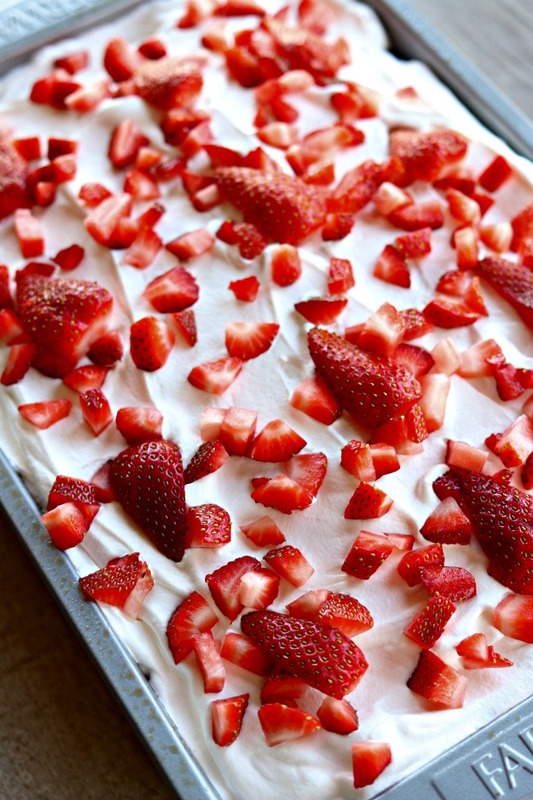 Step 6: Top the cake with whipped topping and strawberries! Then you can cut and serve. See I told you it was easy! Make sure to save this recipe on Pinterest!